If you’re wondering what some of your options are for on-campus work opportunities for you, then you’ve come to the right blog! I will be sharing with you a little bit about my current job as a student ambassador for Biola’s undergraduate admissions department. Last summer, I remember being back home and thinking about what I would be doing during the next school year. I looked at being involved in Student Programming & Activities, Global Student Programs & Development (again), or writing for The Chimes. I looked at a variety of different jobs but somehow managed to stumble upon this gem of a job on Handshake (the place to find all on-campus job opportunities)! I have heard of student ambassadors before and a good friend of mine got to work super closely with them through his social media job. He ended up telling me more about the job and I applied, thinking I probably wouldn’t even get it. After a phone interview and an in-person interview, I was offered this job as a Social Media Representative! Flash forward to now, I can’t even imagine myself without this job and writing these blogs for you guys. It has truly been one of the highlights of my senior year. What is a student ambassador? Well, student ambassadors are divided into two roles: Tour Guides and Social Media Representatives. Basically, we are students who love Biola with our whole hearts and want to represent our school to prospective students and parents. The tour guides passionately give out tours and are your first point of contact when visiting Biola. They are the friendly faces who are willing to answer any questions you may have about our school. The Social Media Representatives write blogs on Becoming Biola (check us out!!) and create content for the Biola Admissions Instagram page. We share our love for Biola as well as our student life stories through these platforms. Some other tasks that both tour guides and social media reps do are making phone calls to prospective students to answer their inquiries, and filming acceptance videos! 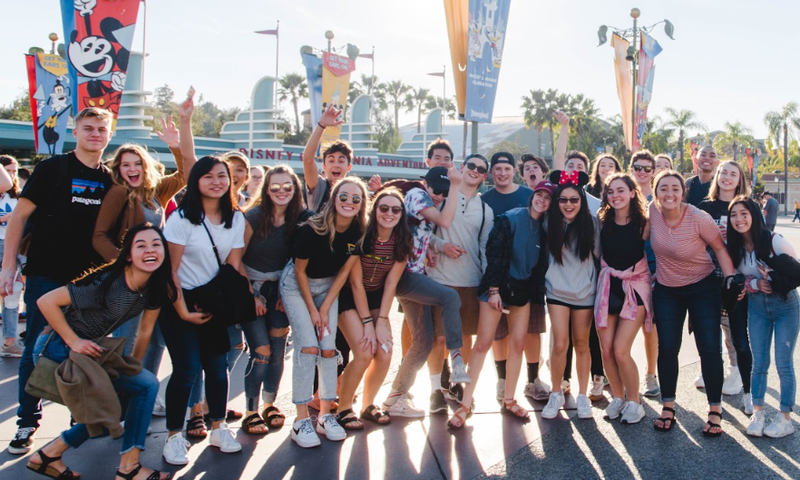 We are also present at all of the Biola Admissions events such as Biola Bound, University Day, Discover Biola, and Spring Preview Day to have fun with you guys! Being a student ambassador has been such a blessing to me. I’ve never felt so connected to Biola before and I love it even more now because of this job. I’ve loved channeling my creative side through writing blogs but I also love how I’ve been able to connect with prospective students! We know that the college decision making journey definitely isn’t an easy one—and that’s why the student ambassadors are here for you! I honestly love answering your guys’ questions and hearing your stories through the phone conversations we have. To wrap this all up, if you have a heart for people and love Biola, then this might just be the job for you!! You’ll also be working with some of the greatest and coolest peeps ever—trust me on that.